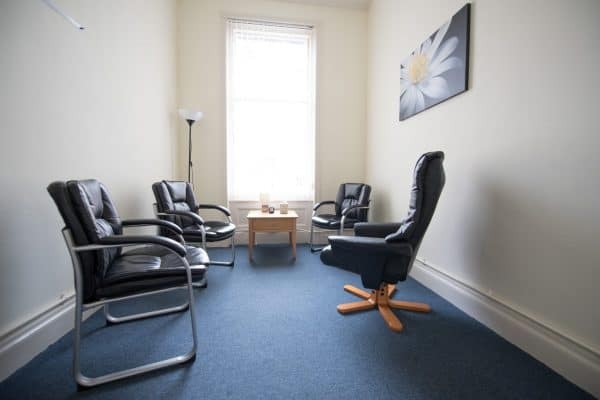 This venue is ideally suitable for team meetings up to 5 people, individual and family consultations and for interviews. There are four chairs in the room, plus a clock and a light with dimmer with room dimensions of 2.5m x 4m. There is a free-standing long mirror. The room can also be used as a small training or breakout room when hiring the Group Meeting Room; desks can be provided. Extra chairs and floor cushions are also available.